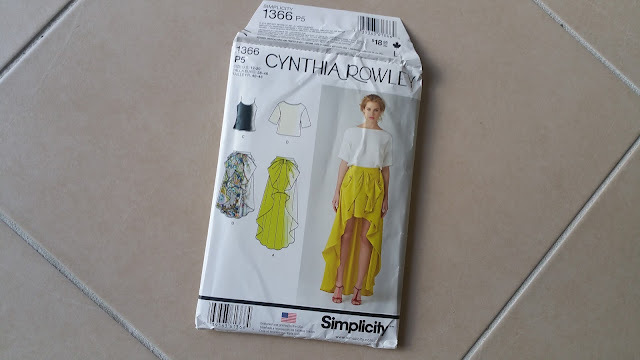 Simplicity 1366 is a pattern I've seen around a lot on social media - specifically the top, not the cami or the very fancy frou frou skirt. 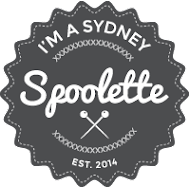 It's designed for woven's but I think it would be perfect for knits...and it is! 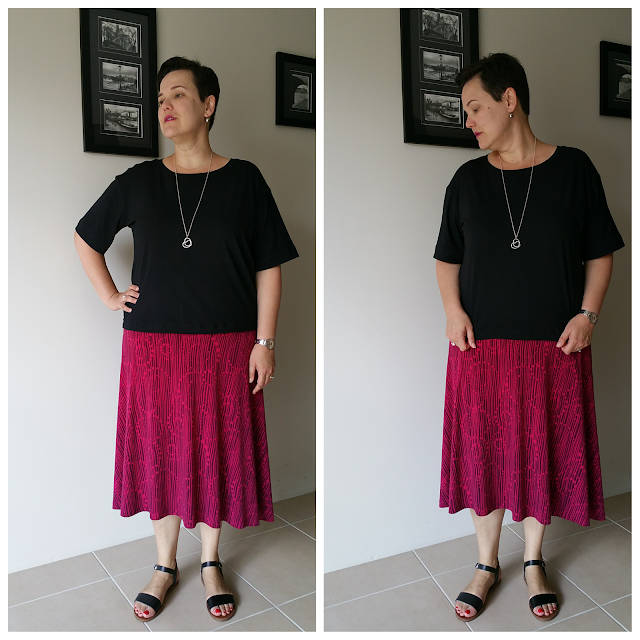 I made this is a viscose/jersey from The Remnant Warehouse. 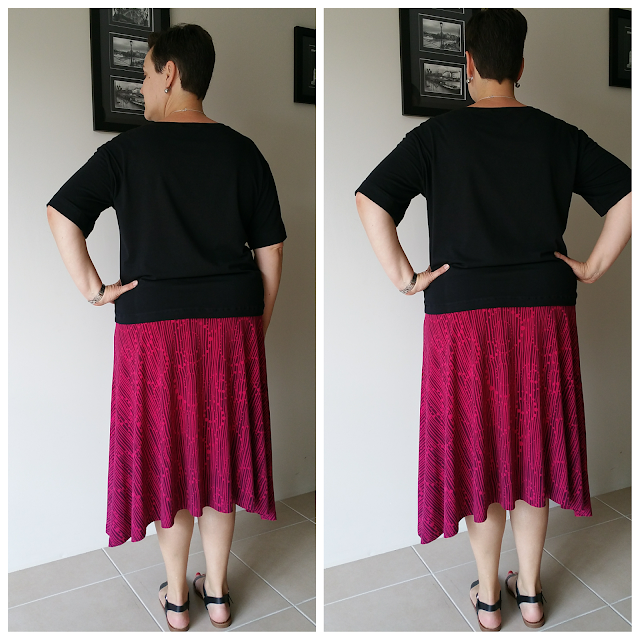 I've read that the top is very short so I added 7.5cm to the length - it's not a bad length now for wearing with this type of skirt, but if I were to wear it with a pencil skirt I'd probably want it longer to cover my belly. I was also told that the neckline is very wide so I added 1cm to both the side of the front and back neckline and it fits well on my shoulders. 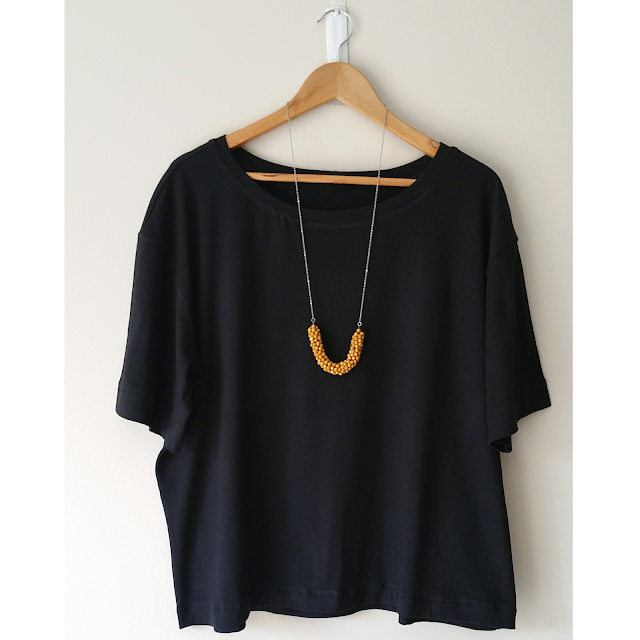 The top also has a very high neck so I dropped this a bit...I hate high necklines! I also shortened the sleeves by 5cm as it's summer and even at this elbow length it could get a bit too warm. I'm really happy with this top...I wore it out to lunch today and it was very comfortable and I think the fit is good. Of course, just as I was snipping loose threads to give it a final press I snipped a hole in the back at the neck...gah! Luckily it was very small and I've been able to sew it up without it being overly noticeable. 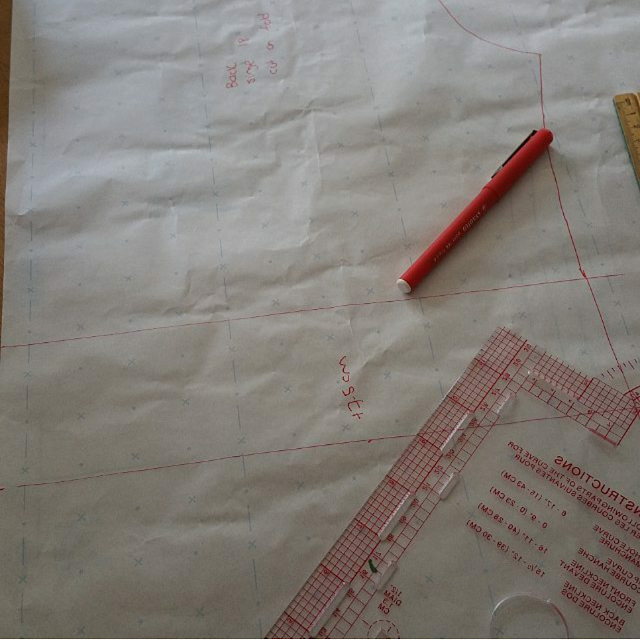 Modifications: added 7.5cm to the length, added 1cm to both the side of the front and back neckline and dropped the front neckline a bit. Shortened the sleeves by 5cm.